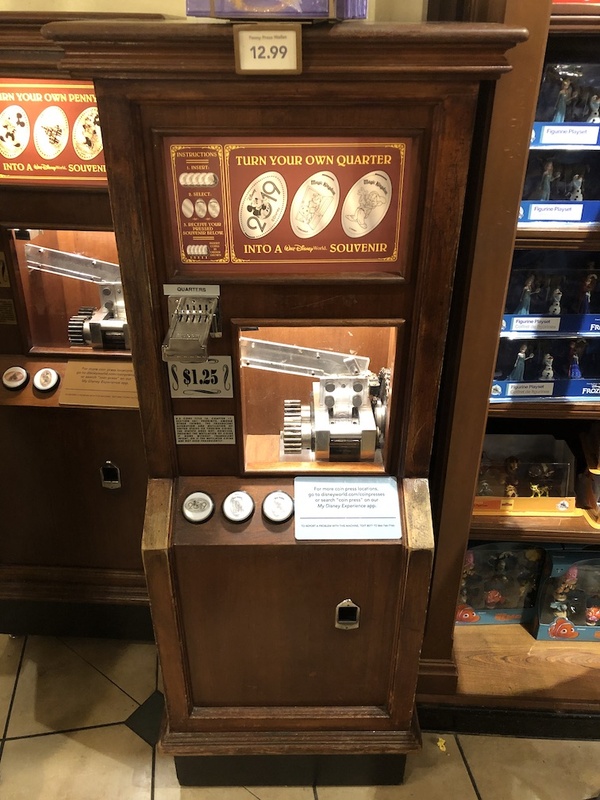 Here we are in 2019 and as we all knew was going to happen, the new dated pressed coins have made their appearance all over Walt Disney World property. But first let me go over how I first found out the new designs were being released. My daughter and I were over at Epcot just enjoying a day at the park and we decided to head over to The Land pavilion where Soarin’ is, however my daughter prefers the Living with the Land boat ride through the greenhouse. 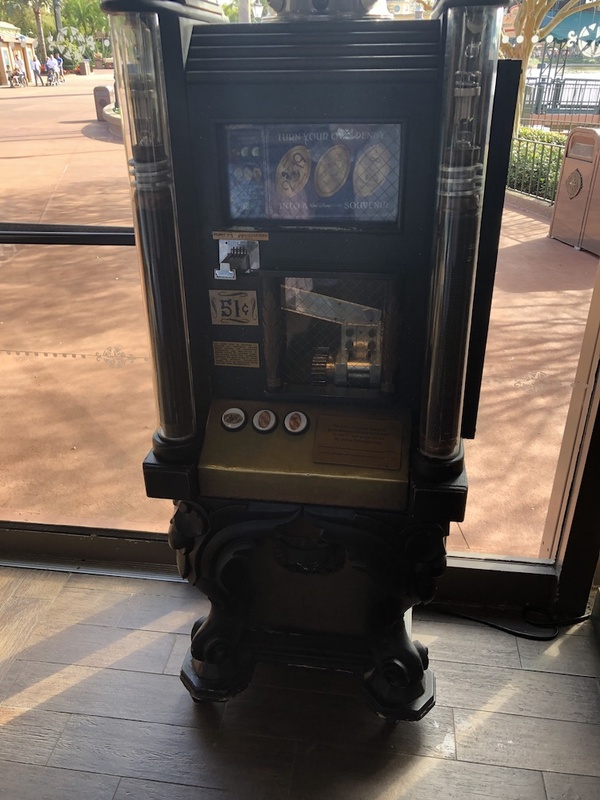 As we walked inside and back towards the Garden Grill restaurant I noticed the penny/quarter double machine was pulled out from the wall and being worked on. My daughter was anxious to ride the boat attraction but I asked her to hold tight for a bit. I knew the 2019 designs were going to be released at any moment, but was amazed that I may have walked upon this actually happening first hand. 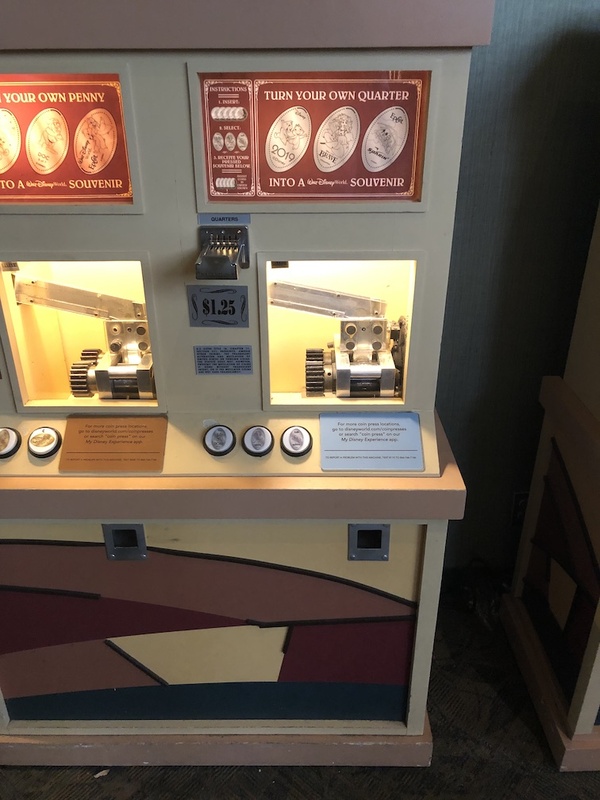 Once the machine was put back together and moved against the wall I leaned in and sure enough saw the new quarter design. The woman who was changing out the design was very nice and spoke with me for a bit about the machines she had already changed out. She mentioned that more would be out over the next few days. And so it had begun and I made it my project over the next week to visit all the machines and document the new designs. That first design at The Land near the Garden Grill was in the same location as last year. 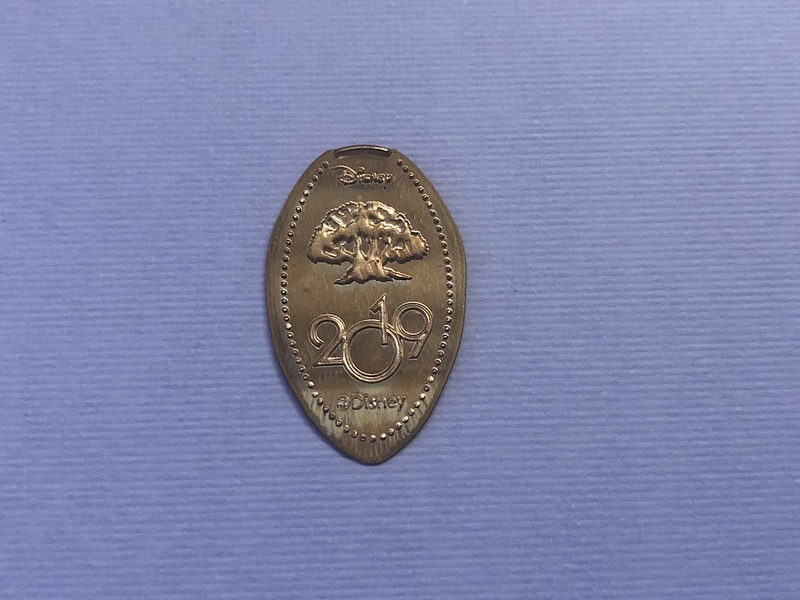 The design has Chip and Dale on it and as I mentioned above is on a pressed quarter. I didn’t forget to take my daughter on the Living with the land ride so we did enjoy that, but I was antsy the entire time just thinking about all the new designs around property that I couldn’t wait to find. 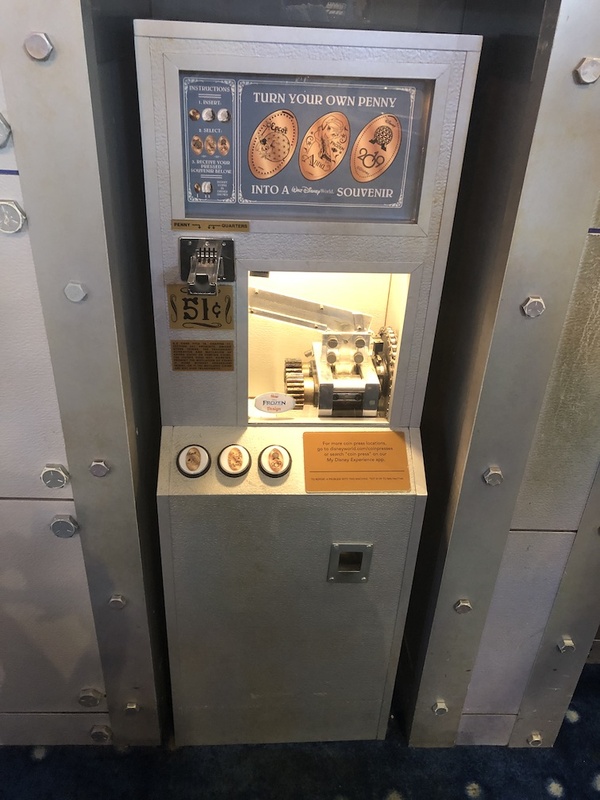 With the ride over we quickly headed to the other side of Future World and into the Mouse Gear Shop where we found the first new pressed penny with Spaceship Earth on it. 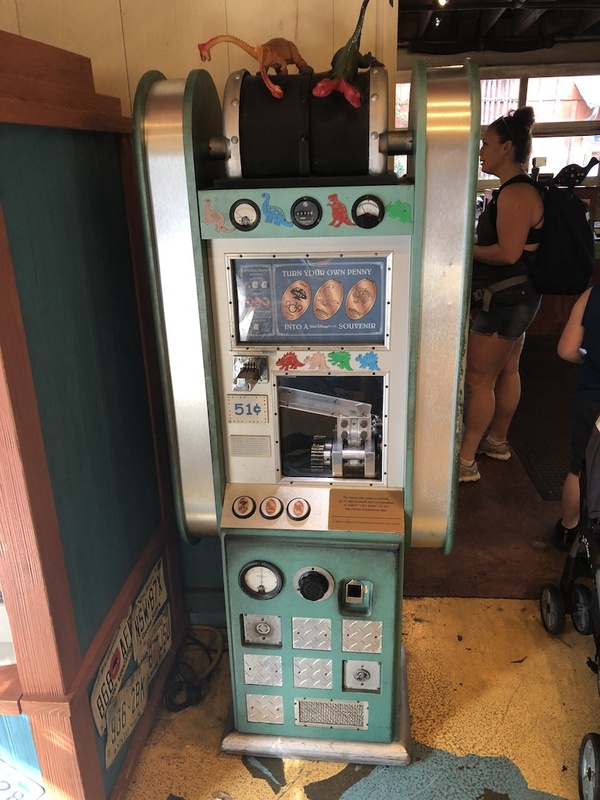 Something I’m not sure I ever noticed in previous years is that near all these new pressed coin machines was a large selection of 2019 merchandise like photo albums, cups, mugs, t-shirts and more. I usually stay away from the dated t-shirts, but the one pictures above is calling my name. I really like the colors this year and may just have to pick one up. 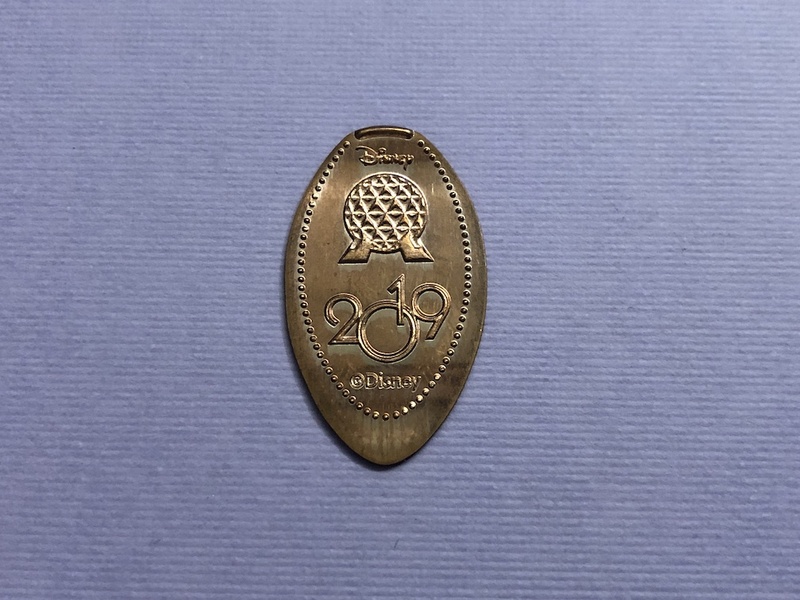 Those were all the 2019 coins available at Epcot. 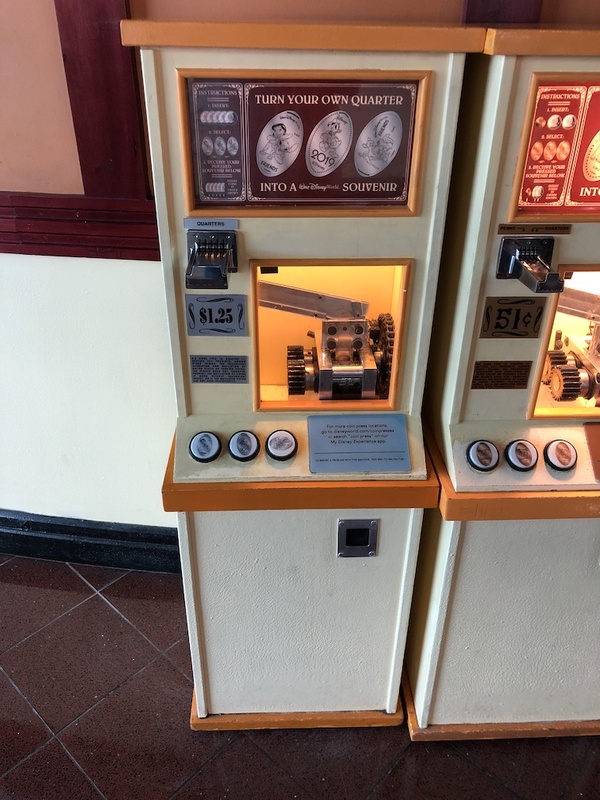 Using the intel I had received from the penny machine attendant earlier we headed back to our car and drove over to Hollywood Studios. 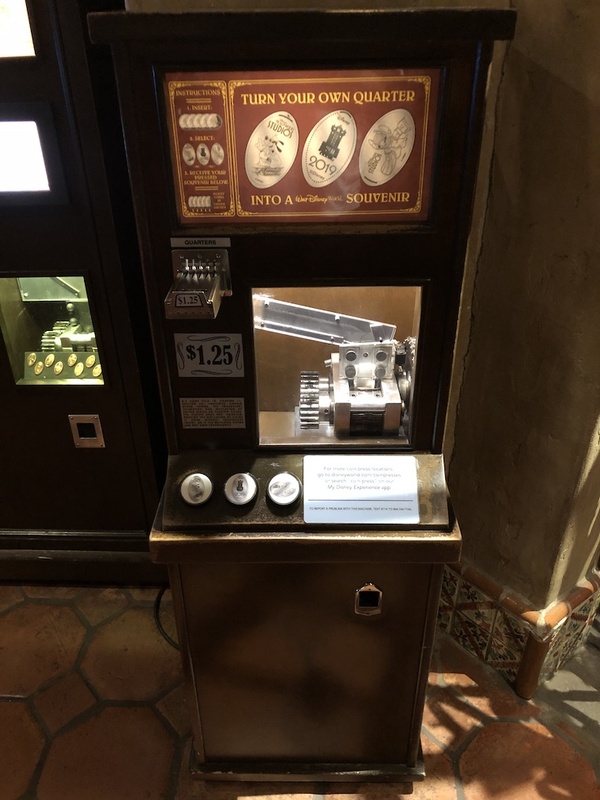 Once in the park we headed right now Sunset Boulevard towards the Rockin’ Roller Coaster, and went in to the Rock Around the Shop to find the above machine. 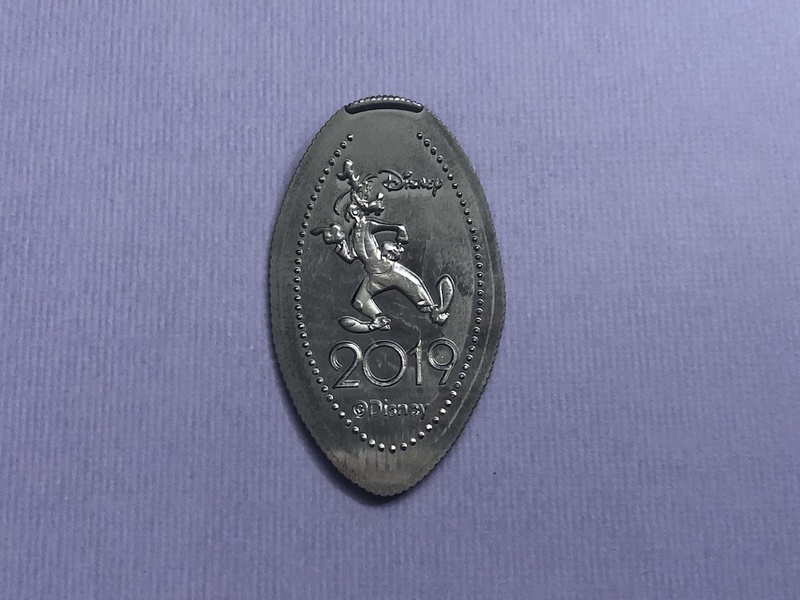 The penny design was of the Fantasmic Dragon. Just across the courtyard underneath the Hollywood Tower Hotel is the Tower Hotel Gift shop. Towards the back of the store where the Tower of Terror exits is where the next machine was found. 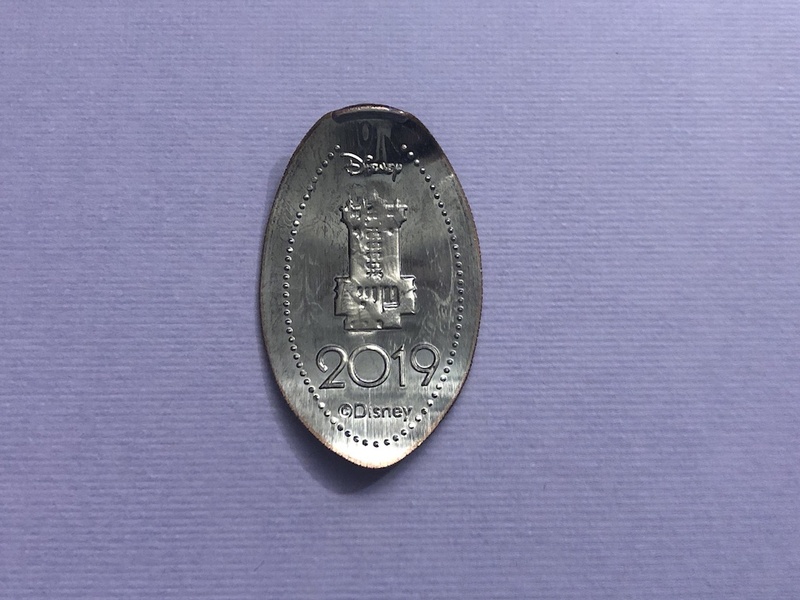 This was a nice design with the Hollywood Tower Hotel pressed on a quarter. Unfortunately that was all we had time for on Saturday and had to head home which worked out well anyways as I was running low on spare coins I always bring “just in case”. Sunday we got up early and headed to our first stop. 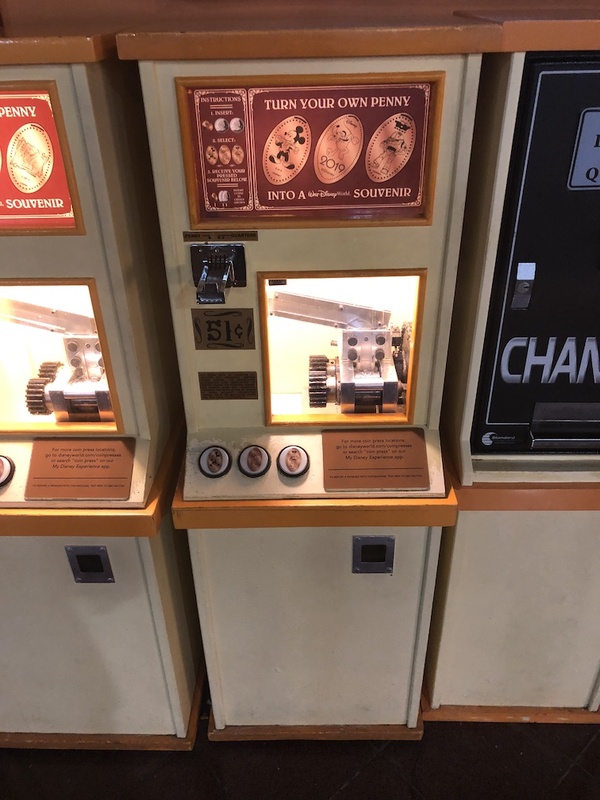 The All-Star Sports resort has a whole wall of pressed coin machines just outside the Game Point Arcade. 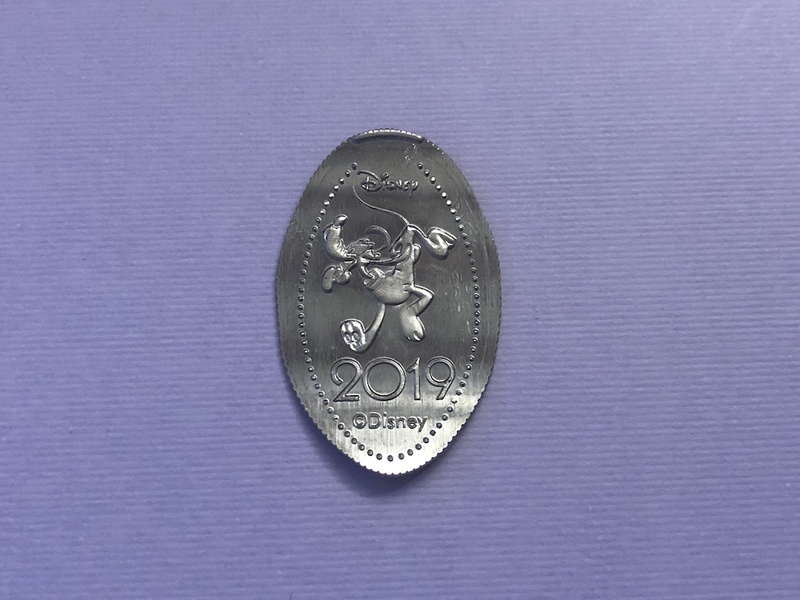 The first machine had the new 2019 design of Goofy pressed on a quarter. Just a short drive away we headed into the All-Star Music resort for the next pressed quarter with Minnie Mouse. 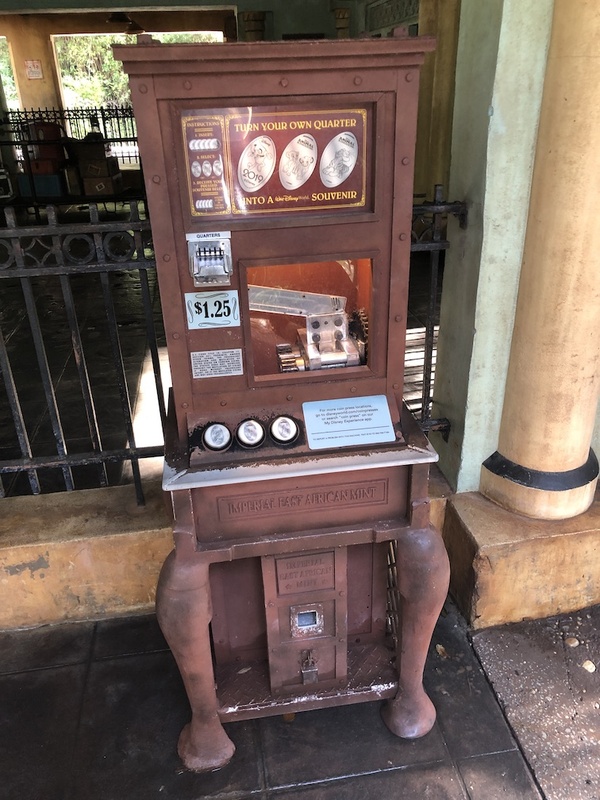 This machine can be found just outside the Note’Able Arcade. The third resort is the All-Star Movies and the machines are all in the World Premier Food Court. 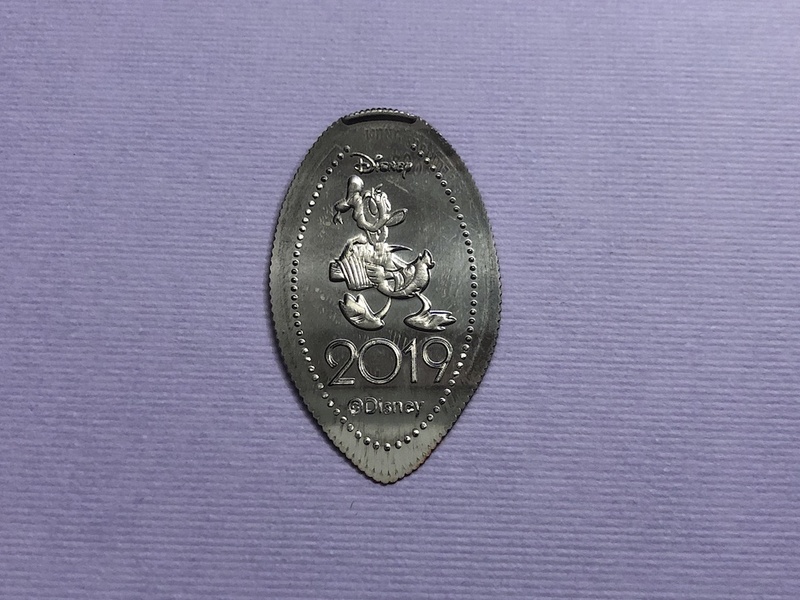 This resort had another pressed quarter design, but this time with Donald and a box of popcorn. I will admit that I screwed up at this resort. I just pressed the quarter design and left for our next stop. 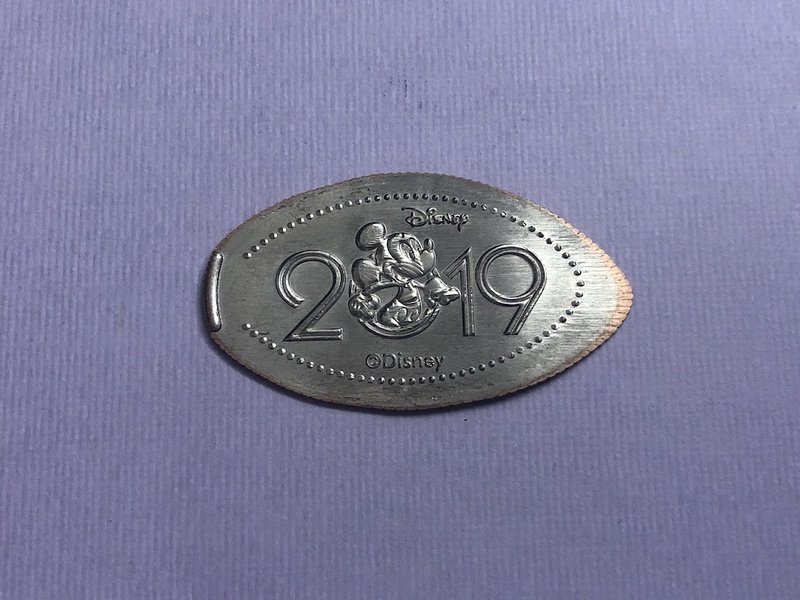 After I got home I found out online that there was also a new 2019 penny design here. So I had to go back the next night after work to get it. Here is that pressed penny of Plus that I completely overlooked. This should have planted a seed in my mind that maybe this year some of the locations would change (some in fact did) but I wouldn’t realize that until a few days later. 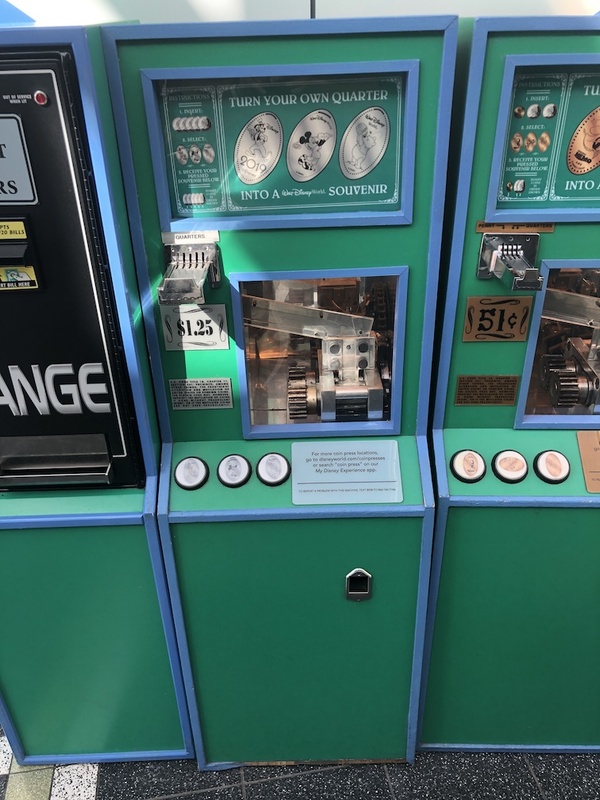 Next we drive over to the Animal Kingdom park (it’s not a zoo) and found the new penny in the same spot as last year at Chester and Hester’s Dino Treasures store. The design is of the Tree of Life. We then walked almost to the far opposite side of the park into Africa near the Harambe Railroad Station. 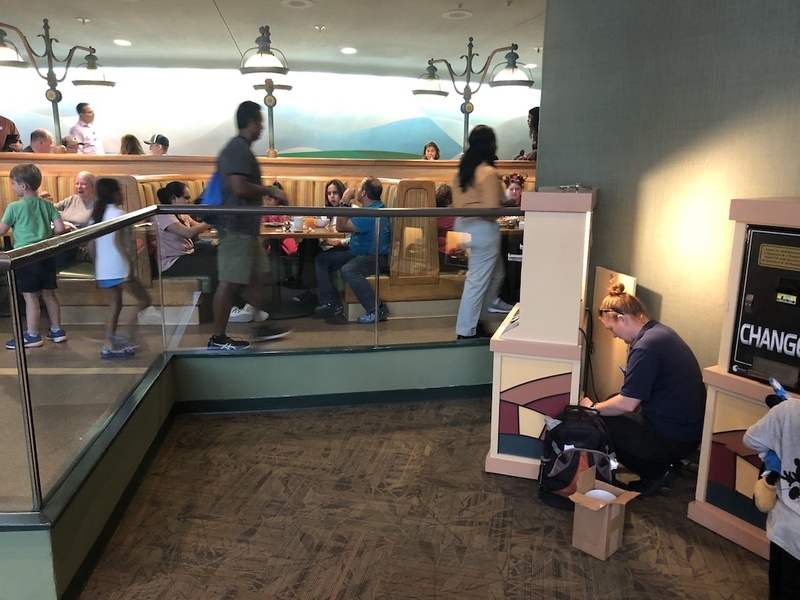 Currently the train is not operational as they are renovating Rafiki’s Planet Watch, and the pathway back to the train station is now where you can find a handful of Wilderness Explorer tables to earn badges (a free activity you can do in the park). 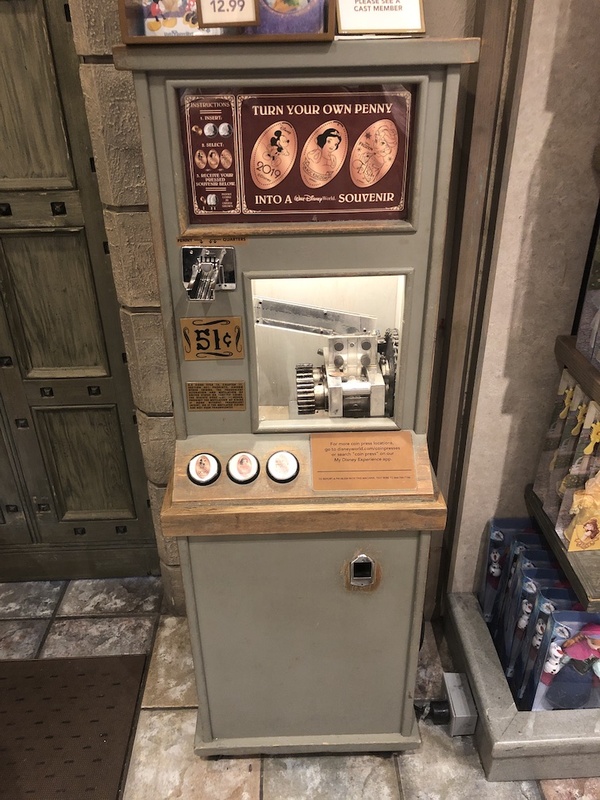 The cast will question why you are heading back to the train station that isn’t working, but just let them know you are using the penny press machines and they will let you by without any issue. Thankfully the machine is now outside the station so it can be easily used. The design is of Pluto on a pressed quarter. A few days passed before I heard about the next machine which was at a new location, the Art of Animation Resort. 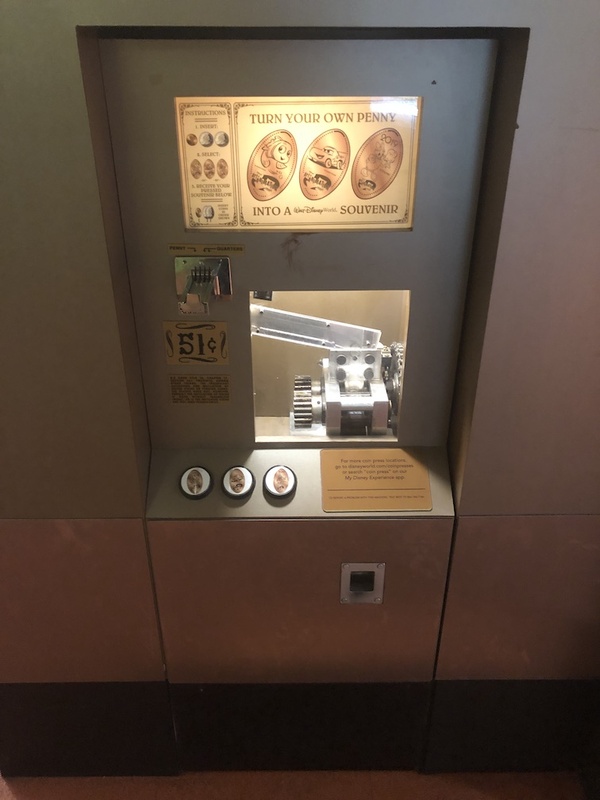 This resort has a pretty good food court so I headed over after work for some dinner and to check out the machine. It’s located right as you walk into the Landscape of Flavor food court. This is also a bit of a unique dated design. 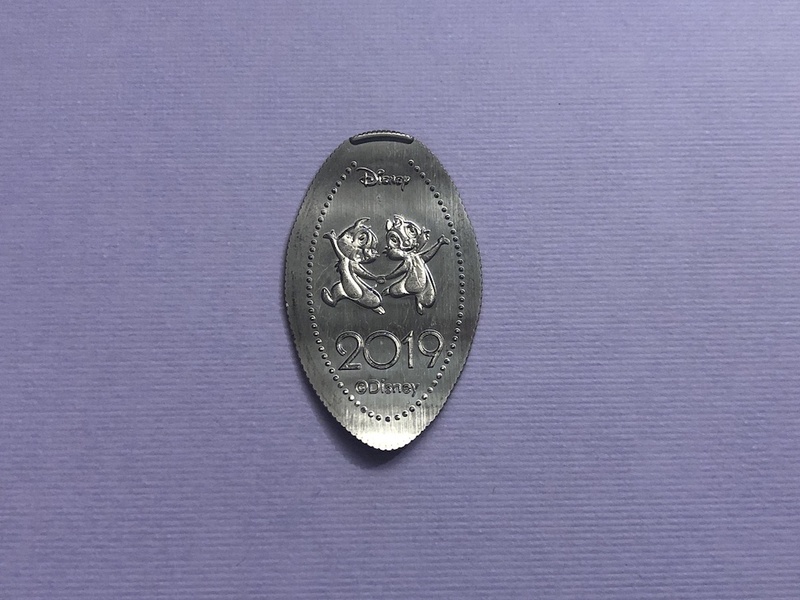 Not only does it have the year 2019 with Daisy Duck but it also has the Art of Animation resort logo on it. Guess this one won’t be relocated any time this year. 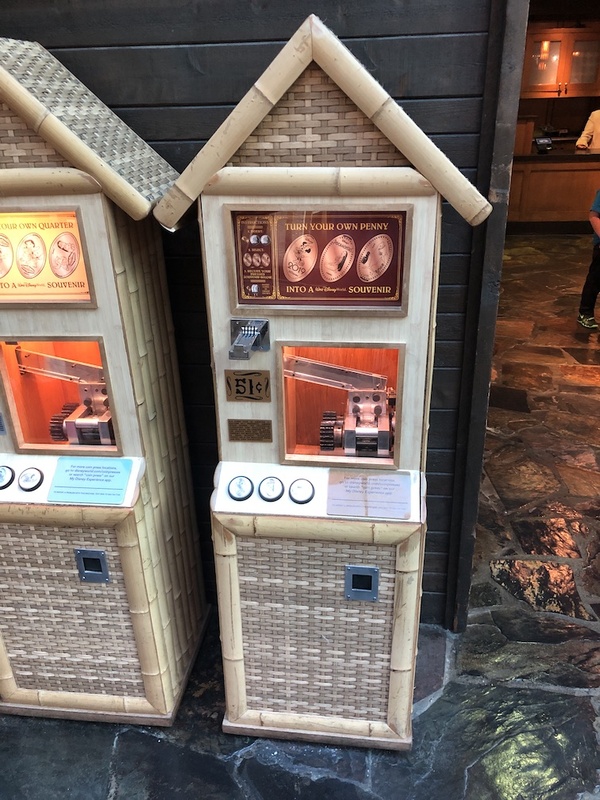 The next pressed penny was also at a new location this year the Polynesian Village Resort. On the second floor of the Grand Ceremonial House just outside the Moana Mercantile store. 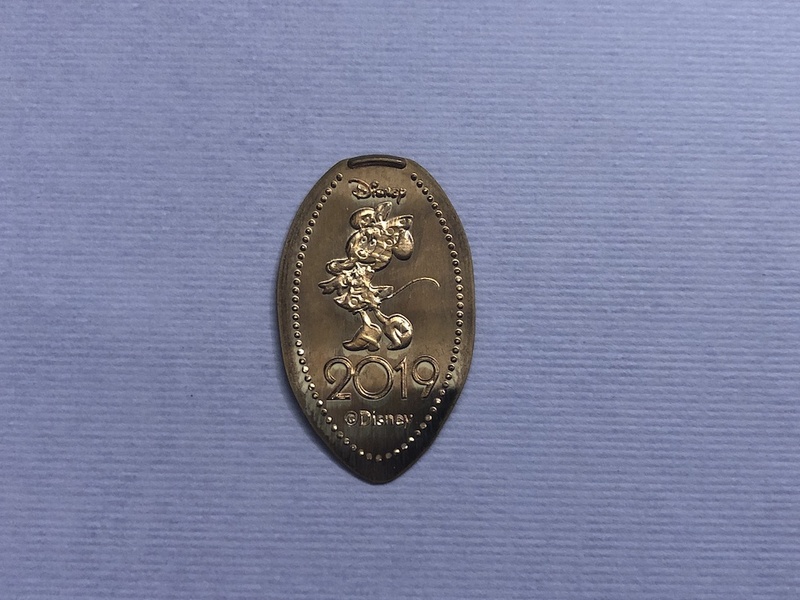 The penny has an image of Minnie Mouse. 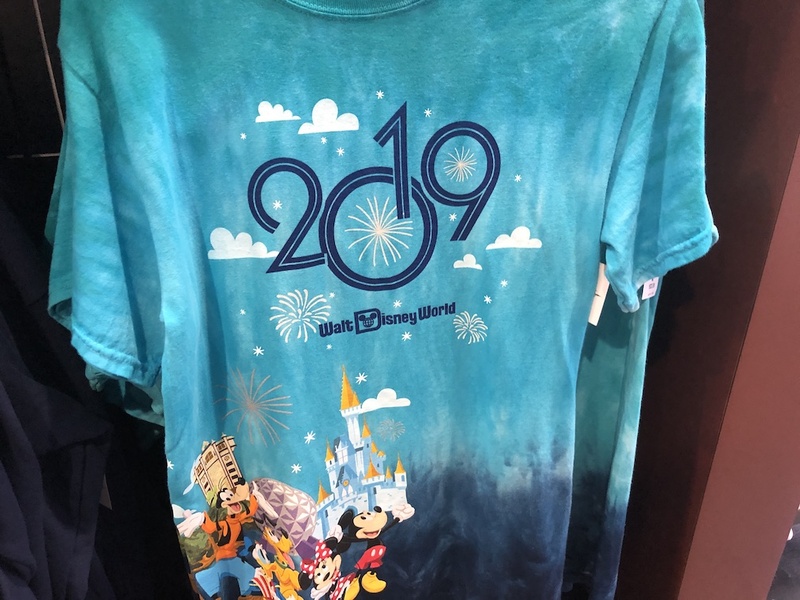 As you can probably guess the last three designs were in the Magic Kingdom. First was in the Main Street Emporium the same place as last year. 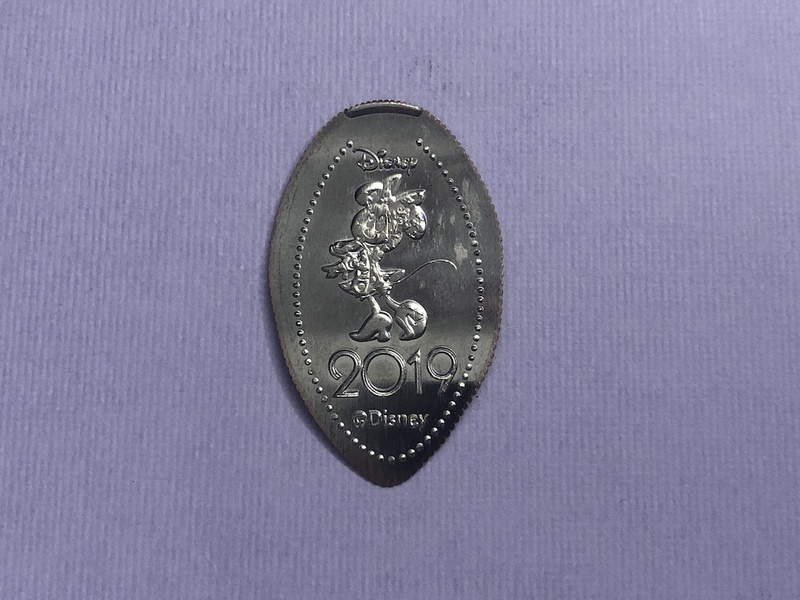 The image on this penny is of Chip and Dale. The second machine is about halfway through the Main Street emporium which is another new location for a 2019 design. 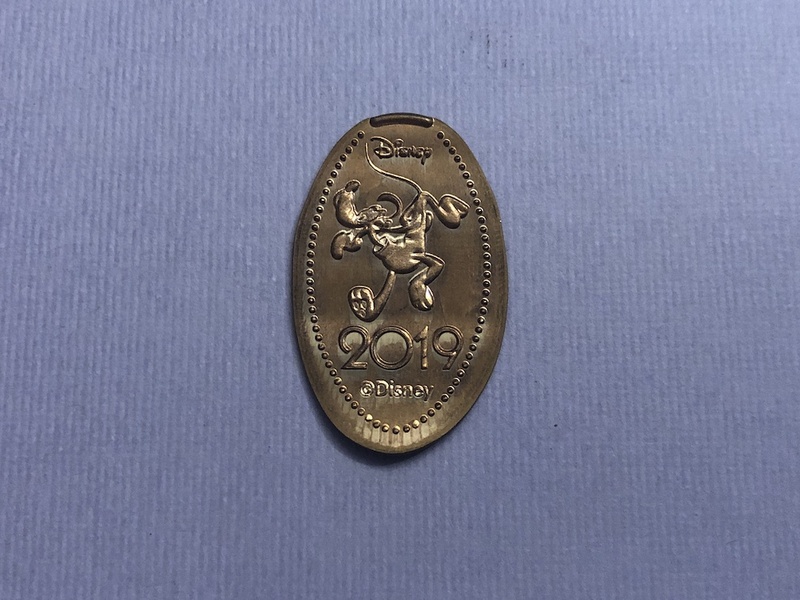 This is a pressed quarter machine and the image is of Mickey in the Zero of 2019 just like the penny design in Epcot at Disney Traders. 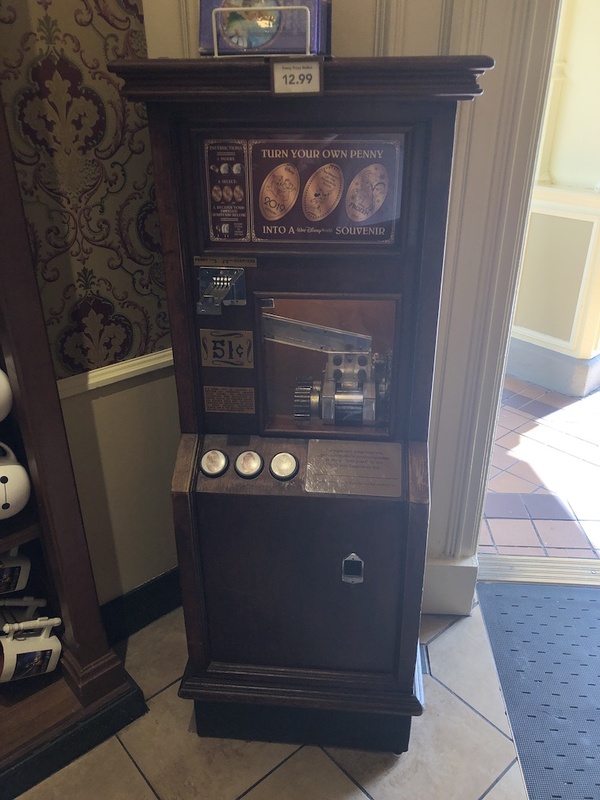 This last penny machine was found in Fantasyland behind Cinderella’s Castle at the Sir Mickey’s gift shop (same as last year). However this machine proved to be quite a pain for me to acquire. The first time I visited it was jammed, so I went back a couple of days later and it was out-of-order again. I waited a few more days and finally on my third visit I was relieved to find it quite operational. 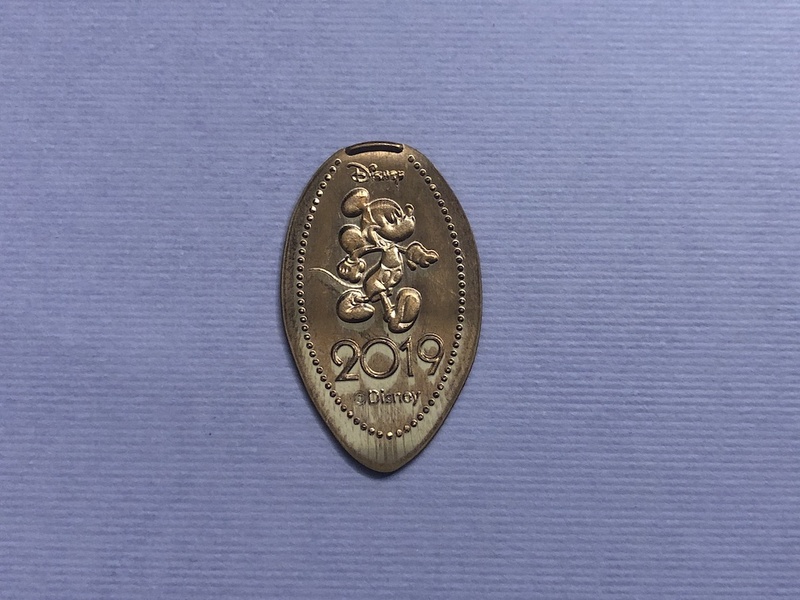 The pressed penny has Mickey Mouse strutting his stuff over the year 2019. 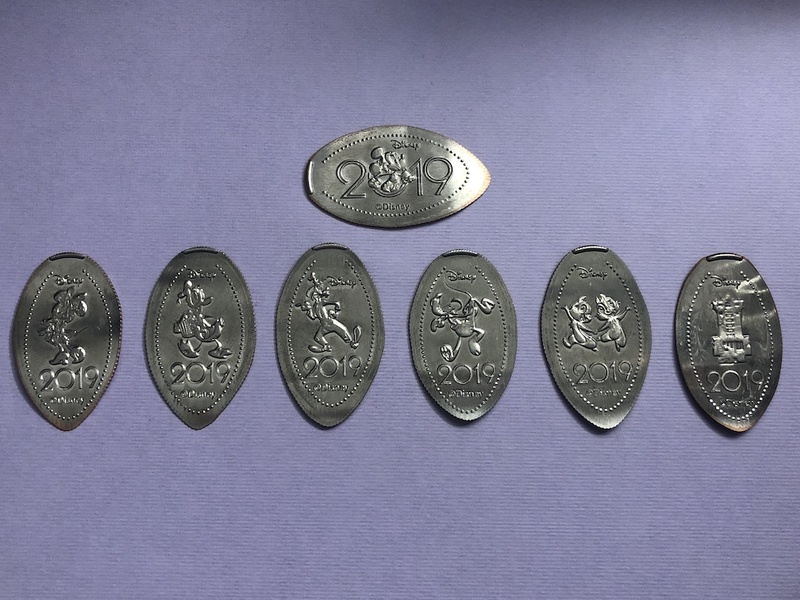 So that makes for a total of 7 pressed quarter designs. 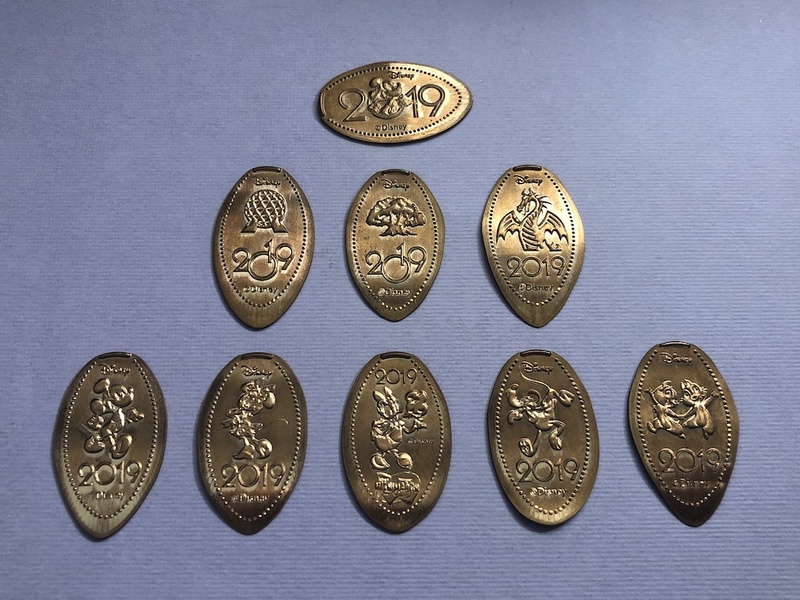 and 9 pressed penny designs. 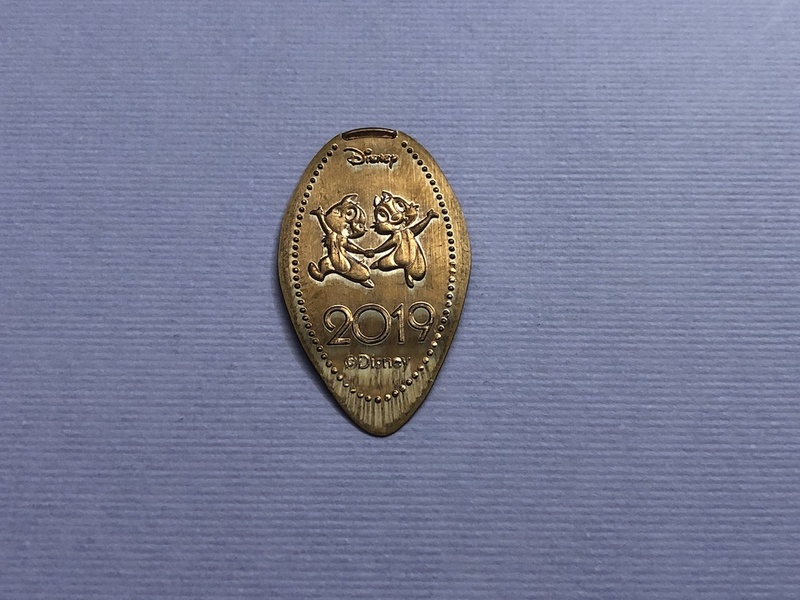 For you math wizards out there that is a total of 16 press coins for 2019 which is one more than last year. I’m not going to lie, I was actually hoping they may release 19 designs for 2019 but I’m happy with what we did get. Plus with a few of the designs at different locations this made finding them a bit more challenging that I actually enjoyed. 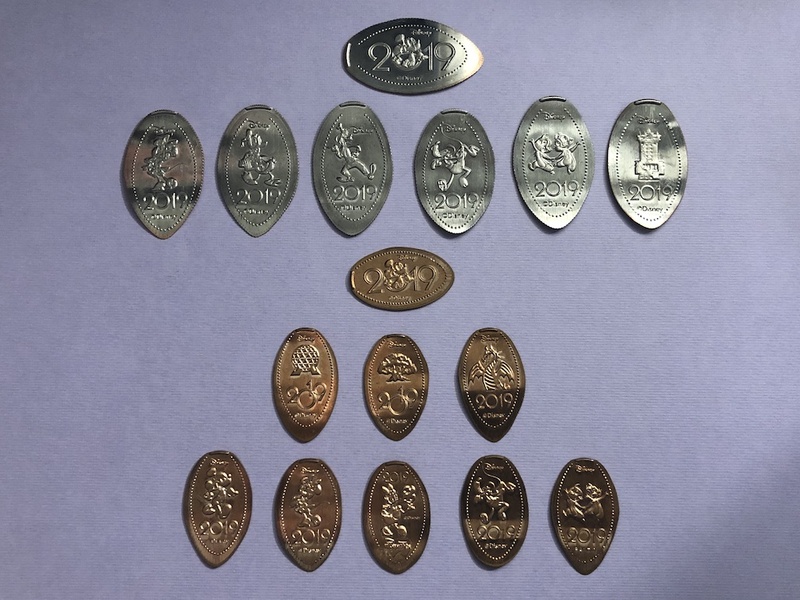 Here is a picture of all 16 of the pressed coins for 2019. There are a few designs that are the same on a penny and quarter, but I think it’s still a really nice set for this year. At the time of this posting all the 2018 designs have been removed and retired so if you were missing any you will most likely have to check out eBay. I say this every year with these dated sets, but make sure you get them before they are gone. We have almost a full year but you never know what could happen. 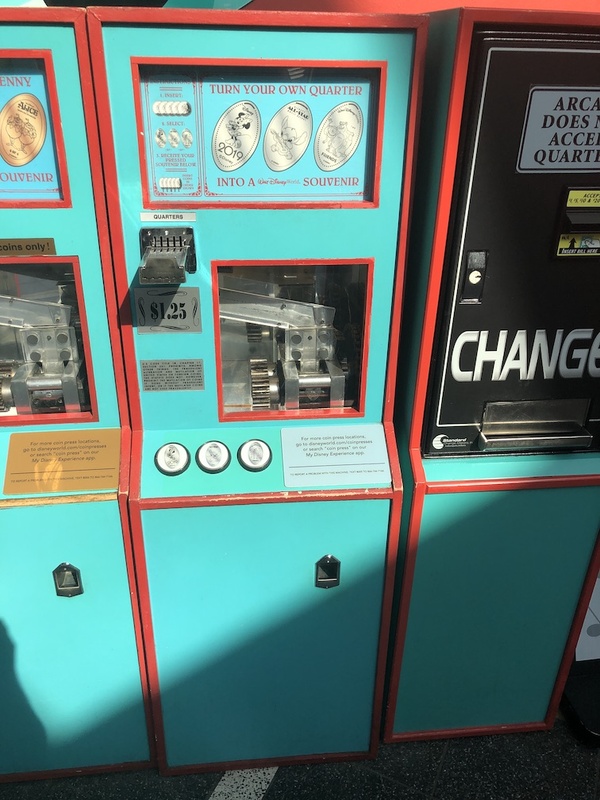 Plus 2019 is going to bring us Star Wars Land (Galaxy’s Edge) and I’m hoping maybe I can use the force or a light saber to press some new coins but we will find out later this year when that new land opens. 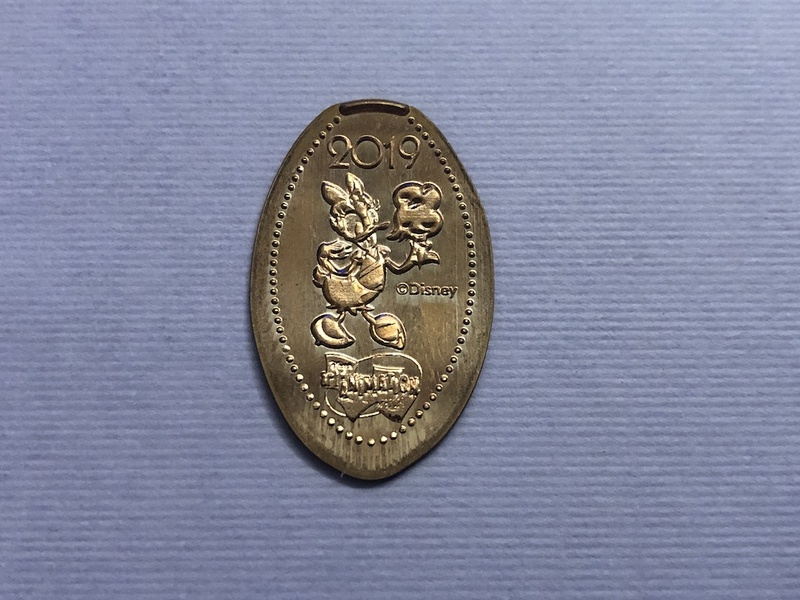 Last year was a record number of new pressed coins released in WDW and I’m hoping 2019 will be even bigger. 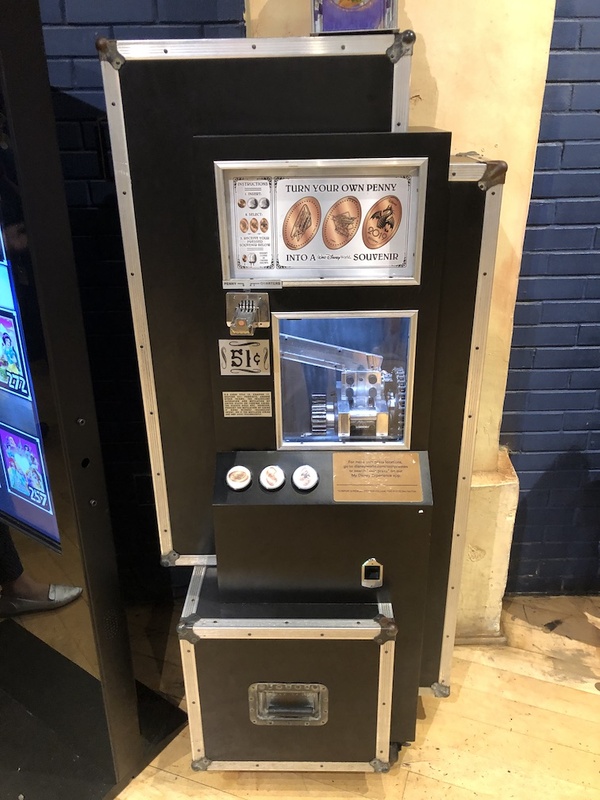 Stick around and I’ll be sure to share news of all new pressed penny machines through the year and of course we will go on some other adventures along the way. Hey David. My wife and I really enjoyed your post. Saved us hours/days of searching. 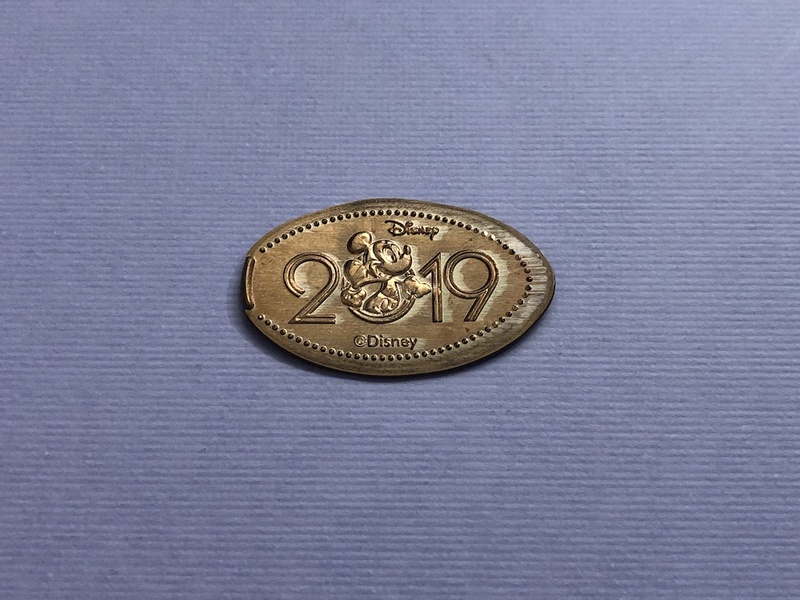 We wanted to let you know we found an additional 2019 penny at Magic Kingdom. In the breezeway behind The Diamond Horseshoe restaurant by the restrooms and fast pass kiosks. It features Mickey jumping out of the “0” with what looks like a Kazoo and wearing a party hat. Says “Worlds Biggest Mouse Party” above the 2019. Thank you Sean, I completely over looked that machine and design. I’ll work on getting this post updated with additional penny. 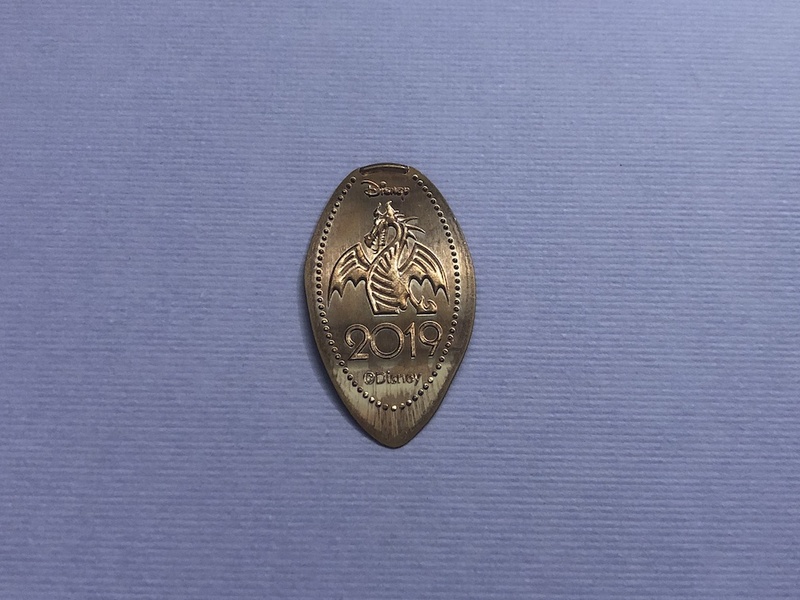 Thanks again and be sure to let me know if you find any other new pennies! !